New construction of a residential and commercial building. 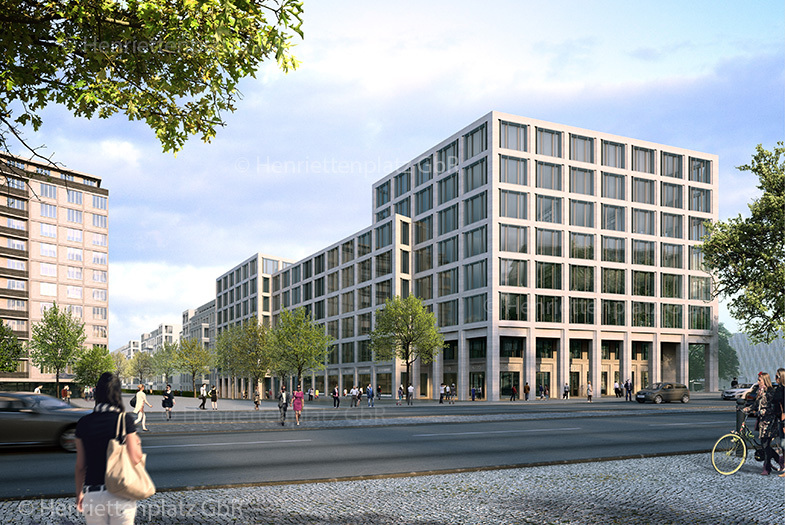 The last vacant property at Kurfürstendamm, which extends from Kurfürstendamm to Henriettenplatz as far as Seesener Straße, will be at the heart of an innovative concept which, building on creativity and experience, is aimed at providing state-of-the-art office space, an attractive retail area as well as unusually designed living facilities. 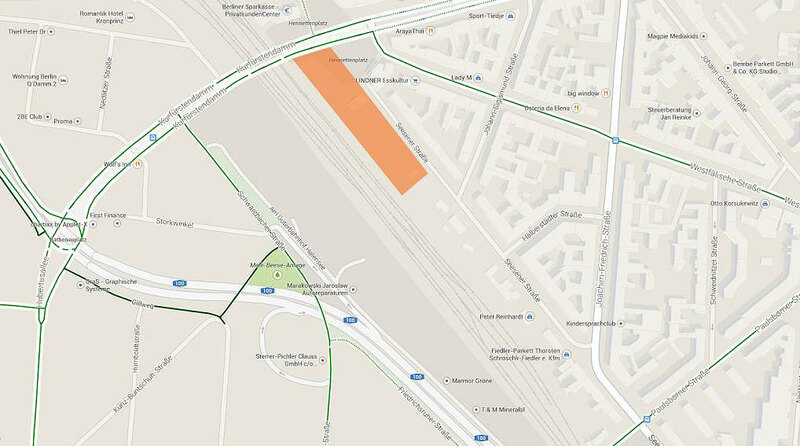 The area near Kurfürstendamm and Henriettenplatz will accommodate a building complex designed for commercial use. 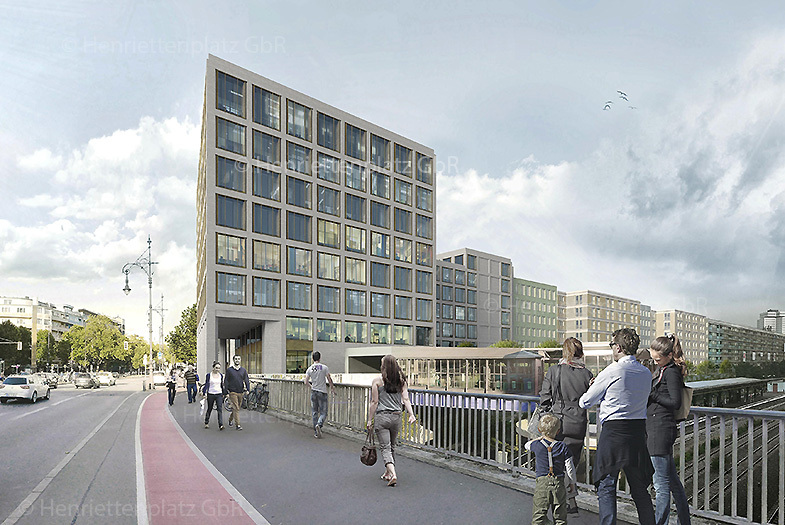 The quiet area along Seesener Straße will be used to develop high-quality living space. The Henriettenplatz is regarded as being the “Gate to the Kudamm”. 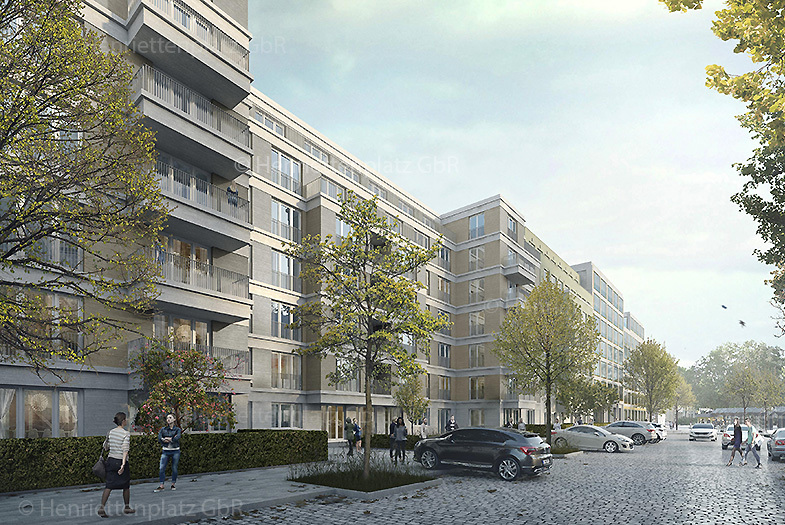 With its location in the immediate vicinity of Kurfürstendamm as well as optimal access to public transport, this property is an excellent basis for the development of a perfectly balanced project. We were able to acquire the EDEKA-Group as commercial tenant. 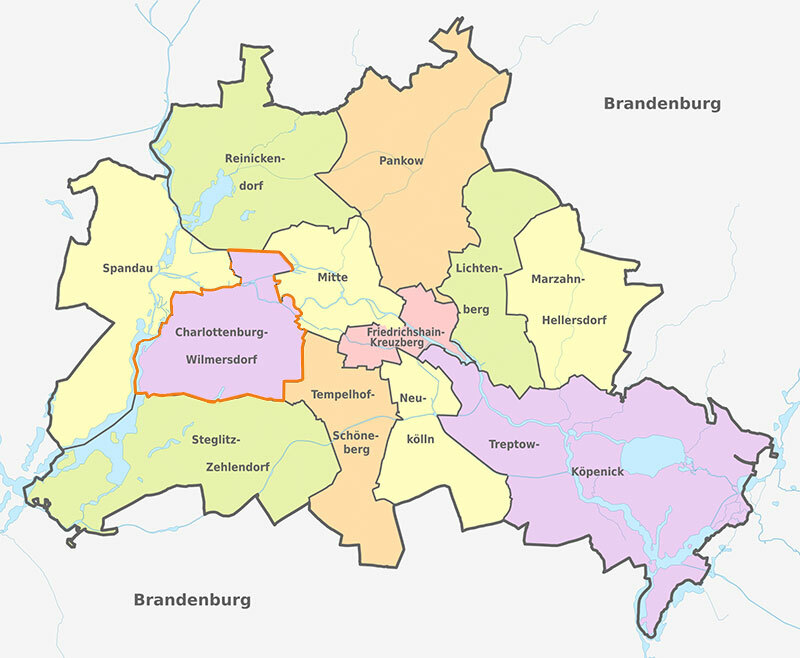 The City-West and the district of Charlottenburg, specifically the Kurfürstendamm, are among the most popular and sought-after residential areas in the western part of Berlin. 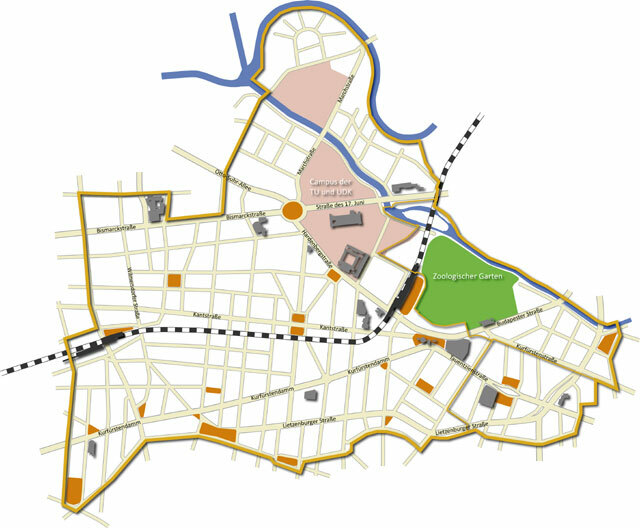 Among the many locational benefits are an optimal infrastructure, connection to the BAB 100, to the airport and public transport facilities, a wide range of shopping facilities, excellent public and private schools and nursery schools, the vicinity to cultural facilities, countless restaurants as well as local recreation options. Seesener Straße is a traffic-calmed street which ends at Henriettenplatz. 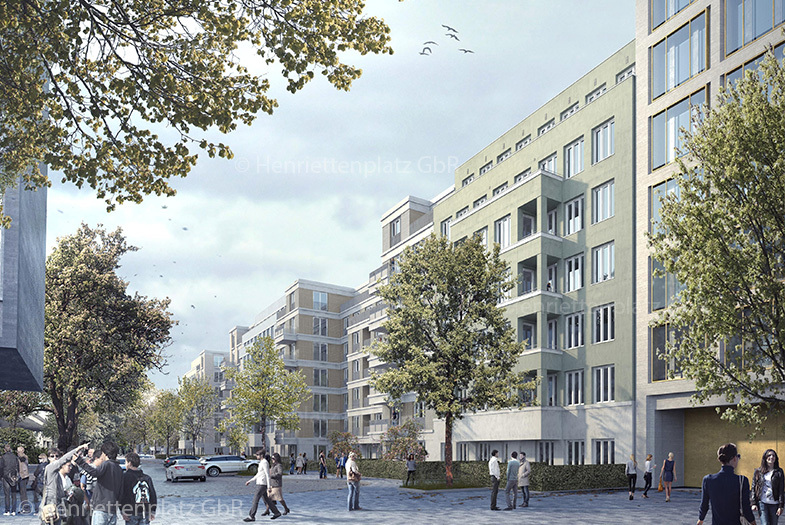 Situated in the popular Halensee quarter in the immediate vicinity of Kurfürstendamm, it has excellent connections to the road network and public transport system. So residents are right in the middle of all the action while Grunewald forest, a spacious local recreational area, is not even 5 minutes away. The location offers all features of modern inner-city life, with many amenities and facilities being within walking distance. Residents can use a broad spectrum of first-rate services which are virtually in their own backyard.